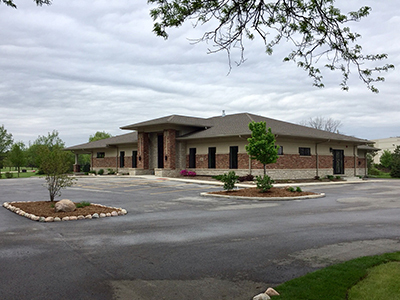 In January of 2017, Skyline officially opened the doors of its new Memorial Center. Featuring an inviting lobby, modern chapel and kitchen area, and large outdoor patio, the Memorial Center is a serene and comfortable place to celebrate the life of your loved one. Our main offices and meeting rooms are also located here. The Memorial Center chapel is available if you wish to host a public visitation or memorial service. The chapel’s audiovisual capabilities allow you to personalize your service, whether it is playing a specific selection of music or displaying a photographic slideshow on the chapel’s large-screen TVs. Furthermore, the Memorial Center will never have more than one service in progress at once, allowing your guests to make the most use of the space while avoiding any scheduling or location confusion. We are pleased to offer basic coffee and tea service with all chapel services, and guests are welcome to bring light refreshments. Catered food, hot plates or crock pots and alcoholic beverages are not permitted. Please contact us with any questions about the space and about how we can best meet your family’s individual needs.